We’ve already driven a prototype of Sant’Agata Bolognese’ latest raging bull, the Lamborghini Huracan Performante. Our brief encounter left us fairly gobsmacked, but we have a feeling that our impressions will be even better contextualized once Lamborghini releases the Performante’s Nurburgring Nordschliefe lap time. We’ve been teased with multiple videos hinting at a heroic lap time and we’ve heard rumors of a sub 6:57 lap, which would best the Porsche 918 Spyder hybrid hypercar. We don’t have any hard proof, but if that is accurate, we know how it was achieved. The Lamborghini Huracan Performante starts with an extra 40 horsepower and 54 lb-ft of torque. Compared to the standard Huracan, it’s also light, stiffer, has stickier tires, and a trick new torque vectoring all-wheel drive system that sees cornering g-load increase substantially. However, the trick to the Huracan Performante isn’t the additional horsepower, tackier tires or all-wheel drive, it’s the car’s Aerodinamica Lamborghini Attiva (ALA) system. 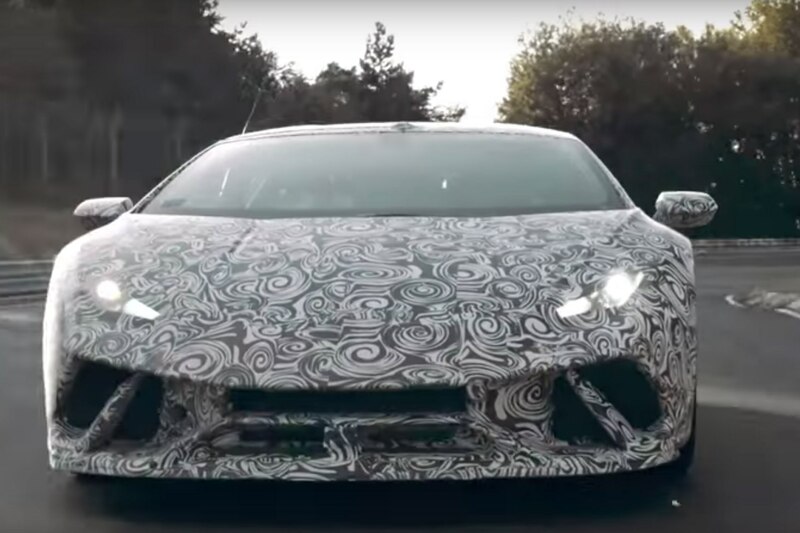 ALA is Lamborghini’s first attempt at active aerodynamics. It encompasses portions of the car’s front splitter, the entire rear wing, and the tail section. Unlike active aero systems that help the car brake, like those of the McLaren 650S or P1, Lamborghini’s ALA helps aero-vector the car for faster cornering speeds. Up front, little flaps on either side of the car open and close independently to either increase or decrease drag, helping drag the car through a corner. The front splitter elements can also open or close in tandem to increase straight-line acceleration. At rear, the multi-piece foraged carbon wing and rear elements are hollow allowing air to be direct through and pushed out to increase down force. These elements, like the front splitter can be open and closed independently or together depending on the situation. The result of all this aerodynamic wizardry? Well, we will just have to wait to find out, but as our own Georg Kacher attests, “Avete lavorato stupendamente, ragazzi!” Check out the teaser below.